Foreign Policy: Who’s Paying Attention? As the U.S. election rhetoric heats up and the Republican and Democratic parties advocate their strongly-held positions, I’m afraid that something important is getting lost. Media-professed wars on women, the poor, and students obscure an international reality that is turbulent, unstable, and dangerous. As an international policy wonk, I pay attention to global affairs and follow certain writers that explain and clarify events from different parts of the world. 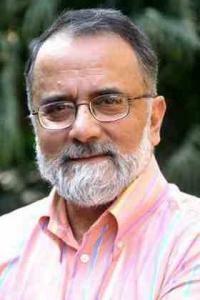 Ahmed Rashid is a journalist whose writings are precise, articulate, and accurate. I read almost everything he writes. After the September 11 attacks, I read his books, Taliban: Militant Islam, Oil and Fundamentalism in Central Asia and Jihad: The Rise of Militant Islam in Central Asia, trying to understand the complexities of the causes of the attacks. I learned about the different peoples of Central Asia, their long-standing disputes and struggles. Rashid explained the rise of the Taliban, the roots of their emergence, and the complexities and consequences of the Russian war in Afghanistan. Now I’m reading two of Rashid’s works: Descent Into Chaos and the Failure of Nation Building in Pakistan and Pakistan on the Brink: The Future of America, Pakistan, and Afghanistan. Rashid paints a clear and problematic—albeit frightening—picture of U.S. relationships with Pakistan, Afghanistan, India, and Central Asia. It’s not easy reading and is far from comfortable. Two years ago, Rashid was much more optimistic than he has become and he describes U.S. policy failures in detail. This U.S. election won’t be lost or won according to foreign policy. At the same time, the world is a much more precarious and dangerous place than it was before our last election four years ago. A systems perspective is one that includes interconnectedness and, remembering this, my perspective enlarges as I feel one with the whole of our life here on the earth. I sense dangerous rumblings from many places—Pakistan and Afghanistan especially. I agree with Rashid that U.S. policies have failed. Our relationship with Pakistan is in shambles and Pakistan is losing its ability to govern. Violent forces are in motion—some not of our creation; some that we have tried to mitigate, but have inadvertently strengthened, with drone attacks as an example of this. Mary Habeck recently wrote an interesting series “Evaluating the War with al Qaeda” for Foreign Policy. Habeck provides a thought-provoking and studied view of how al Qaeda is faring. There is disagreement about Habeck’s assertions, yet she is careful and thorough, and her points should evoke a conversation to explore the effectiveness of our policies from a higher level. Foreign policy will enter the presidential debates at some point, but I fear we are woefully inadequately prepared to consider our global position or the options ahead. Neither candidate has offered a path toward a safer world. The stability and safety of the world influence our ability to promote life, as well as prosperity and a healthy business environment. When violence continues to absorb talent and resources on a global level, I believe our collective capacity is diminished. The veterans who return from the wars find little mental health resources, few jobs, and painful integration back into family life and civil society. We struggle to redirect our economy while huge distractions cloud our perspectives in the presidential race that is heating up. Meanwhile the war in Afghanistan and the “War on Terror” continue. With so many wars in our discourse these days—war on women, war on the poor, war on students, war on immigrants—I wonder: is our language shaping our world or visa versa?